UMG Metal & Glass Company has been a leader in the production of commercial glass for over 20 years and this superior sense of expertise exists into the present day. 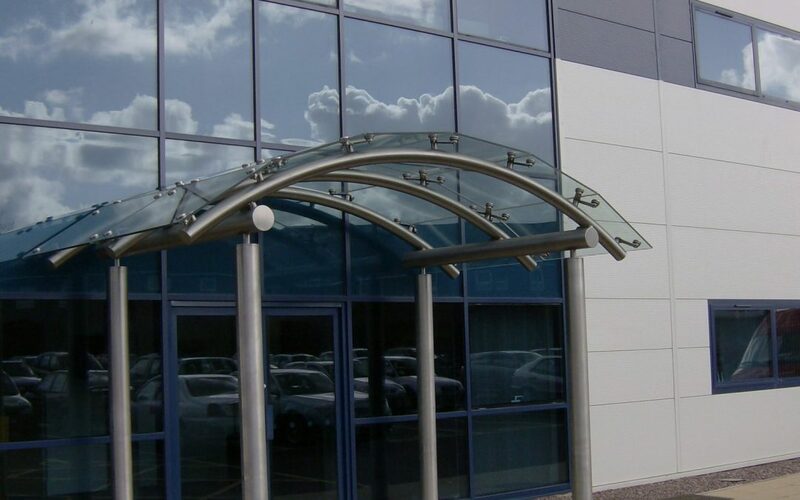 There are many benefits associated with commercial glass entrances and to appreciate what we have to offer, let us look at the top ten advantages. Commercial glass entrances are able to provide superior product visibility. Thus, it is more likely that clients will be interested in what the business has to offer. Advertising is a key concern within any industry. These transparent entrances will enable the owner to display sales, and rebates that the customer can enjoy. Glass boasts a clean and streamlined appearance. These happen to be two of the same qualities which can help to boost the appeal of a specific business venue. Such an advantage would hardly be possible with more traditional substances such as brick or wood. Ambient light is an excellent way to embrace the organic appeal within a certain environment. It will also offer a sense of warmth and comfort. We should also not fail to mention that the presence of outside light can often help to reduce heating bills; particularly if solar radiation can enter. Some of the most successful retail locations are those which embrace a sense of openness. Although artificial lighting can mimic this effect, there is no doubt that the transparent nature of the modern glass entrance is superior to such electronic solutions. The modern commercial glass supplied by UMG is manufactured to only the highest of standards. Thus, it is extremely resistant to shattering in the event of vandalism. This is the primary reason why it is often employed when standard plate glass is not sufficient. Such a quality is also a strong deterrent to potential thieves. Another massive benefit to appreciate is that commercial glass can be produced to meet demanding specifications. Dimensions, thicknesses and even the frames can all be manufactured around the needs of the client. Such an adaptive ability will help to save money while simultaneously enabling the location to achieve the aesthetic appearance that is required. Whether referring to a restaurant, a corporate venue or a retail location, branding is extremely important in terms of public recognition. This often motivates franchises to employ similar designs on different properties. The malleable nature of these entrances mentioned in the last paragraph is likewise a pronounced benefit. Glass should never be thought of as a stand-alone material. It will often be employed in combination with other mechanisms such as balustrades, staircases and sliding doors. The fact that this substance can be used within nearly any system allows the client to incorporate mechanical systems into the overall design. Automatic doors and apertures for the handicapped are two examples to note here. Above all, the modern commercial glass entrance represents an excellent return on investment. It will increase the value of the property over time and naturally, the inbound business that often occurs as a result of such an installation should never be taken lightly. Do you wish to learn more about the options that Unique Metal & Glass Company can provide? If so, please give us a call and speak with a representative to learn more about what we have to offer.